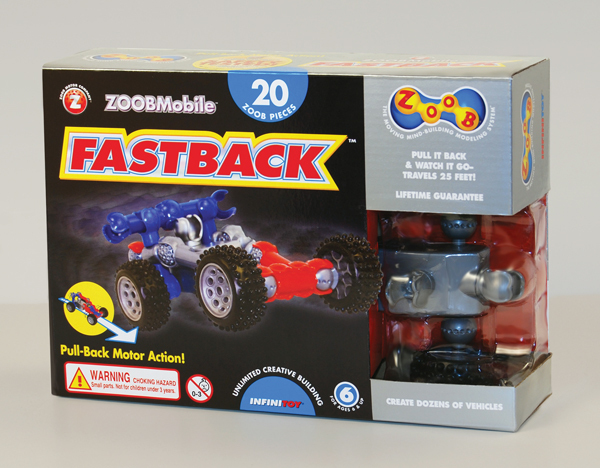 The ZOOBMobile FastBack features a pull-back friction motor, so kids can create their own ZOOBMobiles and make them race across the floor. The Fastback features 20 ZOOB pieces, and 4 high-quality tires that are notched so they work like gears. Because ZOOB® pieces snap together so many different ways, kids can use their imaginations to create their own vehicles and add on pieces from their ZOOB collections to make even more. 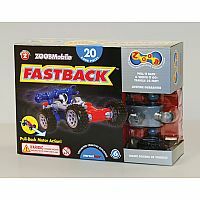 The FastBack is fully compatible with all other Infinitoy ZOOB pieces.